Hitchin, UK – According to Government statistics, half of all UK businesses suffered a data breach or cyber attack in the past 12 months. It’s estimated that cyber crime cost UK businesses a staggering £34.1 billion during 2016. The reason cyber crime has reached such epidemic proportions is easily explained: profit. The average ransomware attack generates a handsome £5,600 monthly return on investment. Cyber crime is low risk, high reward and nowadays requires minimal technical skills. It’s something no business can afford to ignore. That’s why Modern Networks have written The Little Book of Network Security and Data Protection. 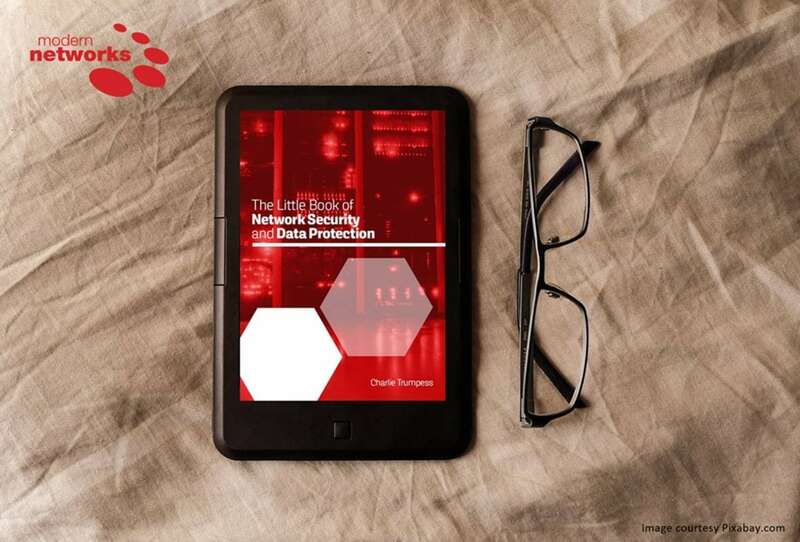 Available as a downloadable PDF and printed format, The Little Book of Network Security and Data Protection examines the current cyber threat landscape and how best to mitigate the risks. Divided into nine chapters, the book starts with a look at the human element of cyber crime and the need to raise user awareness across organisations. Subsequent chapters cover user privileges, network isolation, patch management, passwords, the importance of data backup, shadow IT, endpoint security and advanced enterprise solutions. We also dedicate an entire chapter to General Data Protection Regulation (GDPR) readiness and compliance. Finally, we speculate on the future of cyber security and data protection in a connected world of IoT smart devices, artificial intelligence (AI) and machine learning. The Little Book of Network Security and Data Protection was written by Charlie Trumpess, a highly experienced marketing professional and copywriter with over twenty year’s experience within the technology sector. The book is free to download from the Modern Networks website as a PDF. Printed copies are also available on request. You can download a free copy of The Little Book of Network Security and Data Protection now.